The first number 41,344 contains 4 ones and the second value 58,520 contains 7 ones for a total of (4 + 7) = 11 ones. As with any other problem, different people would come up with different approaches. On one end one may come with a brute force approach. On the other, one may come up with an elegant solution. 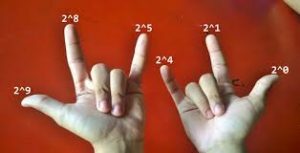 We should also consider the variations in the goal for this problem. For example, we might be asked to find out the number of 0s in the fourth binary digit of all entries in the array. Let’s start with a brute force approach. I will write the solution using the Java programming language. As you are aware, Java does not support unsigned or short digits. As I looked at the problem, C/C++ came to mind. Those languages are relatively fast and provide support for the unsigned short data type. Perhaps a quick implementation in C to collect some data might not be a bad idea. I have included in the same source code the non-brute force approach to solve the challenge. Let’s start with a run, some comments and the actual code. The code starts by prompting for the number of entries in the array. I decided not to hard code it so we could be able to experiment with different counts. It is always important to understand what happens when the number of elements in an algorithm changes. It might be that the number of unsigned short integers is relatively small (e.g., 1,000) and the execution time is so close (e.g., <= 1 ms) that spending time optimizing the code might be better applied in other parts of the system. Some output lines have been commented out. I used them to get additional information while I was writing the code. When done I tend to delete some and keep a few lines for the time when someone (including myself) will go back to enhance the code. 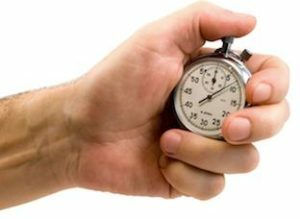 The results tend to indicate that the optimized software is about 4 times faster than the brute force approach. The results also indicate that about half of the bits 100,000 * 16 / 2 are ones. That is as expected because we are using a pseudo random generator and the likelihood of having one or zero is about 50%. The code starts by prompting the user for the number of entries in the array. The array is then populated with numbers in the range [0 : 256 * 256 – 1]. 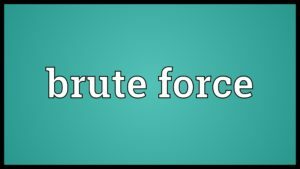 The brute force approach invokes the countOnes() method. A value from the array passed to it is anded and shifted once so we are able to count the number of bits set to one. The count is returned to the caller. In the second approach we build a table of bytes with 256 entries. Each entry holds the count of ones for each possible byte. The table starts with 0x00 (0 ones) and ends with 0xff (8 ones). We will use the table in the next and final step. The main program then traverses the original set of unsigned short integers and maps the number of ones on the lower and then upper byte. That eliminates shifting the value. The results produced for both approaches using the same array come up with the same value. This is another useful check to verify that if we change or add a new approach it should produce the same counts but hopefully better (smaller) execution times.